Festivals and mud go hand in hand but not at The Wilderness Festival, held for the first time at Cornbury Park in 2011. It was promoted as an alternative music and arts Festival; not just a musical line-up but featuring discussions; Intelligence Squared would have made for lively debates on the Saturday. The craft stalls ranged from jewellery making to cane footstools. In the words of the stilt-walkers who were magnificently dressed as bees; it was a “mellow festival”. Swimming in the lakes, the Edwardian experience of a boat trip, plus hot tubs and Spa treatments gave a special feel to the weekend. The camping looked organised and they were blessed with fine weather. Laura Malling sang under a cloudless sky, the sun shone and the Festival goers enjoyed a real country-side experience with music. It would have appealed on many levels. There were large family groups, from babies to older members; all enjoying the weekend, music being the link. The folk tent enjoyed a varied day of singing. And there was a gospel group performing on a free stage and even a spare piano for anyone who wished to avail themselves, and they did. Approaching the main arena, village cricket was played throughout the Festival; the resident players in whites invited a succession of challengers in limited – over games on a pitch not quite to the standard of Shipton! Many varied food tents and the banquet held in the main, beautifully decorated tent looked enticing. A happy festival with a wide age range, all enjoyed in the enchanting grounds of Cornbury Park. 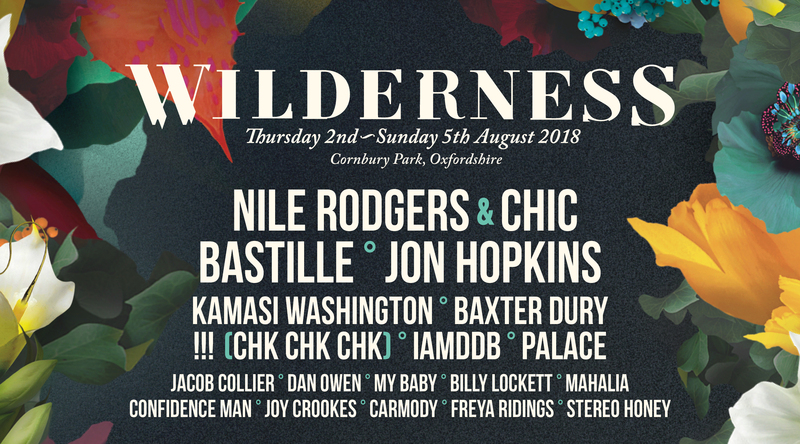 Wilderness carries a hedonistic vibe but chilled with a variety of workshops, banquets, spoken-word events and arts activities. The location is like a relaxing sanctuary set in the Oxfordshire countryside based around a peaceful lake; its a revival of the medieval times.